Enhance self-esteem by heightening your physical and mental powers. Build confidence by encouraging you to succeed and to take control of your life. Develop discipline by thoroughly training your body and mind in the tenets and techniques of Taekwondo. Safe, filled with different ways to learn to adapt to in many situations, challenges filled with adrenaline. Trainers have experience over many techniques that will overwhelm your child with many new ways to defend themselves. Combining martial arts techniques and heart-pumping cardio, kickboxing is a high-energy workout that is guaranteed to burn calories and fat. 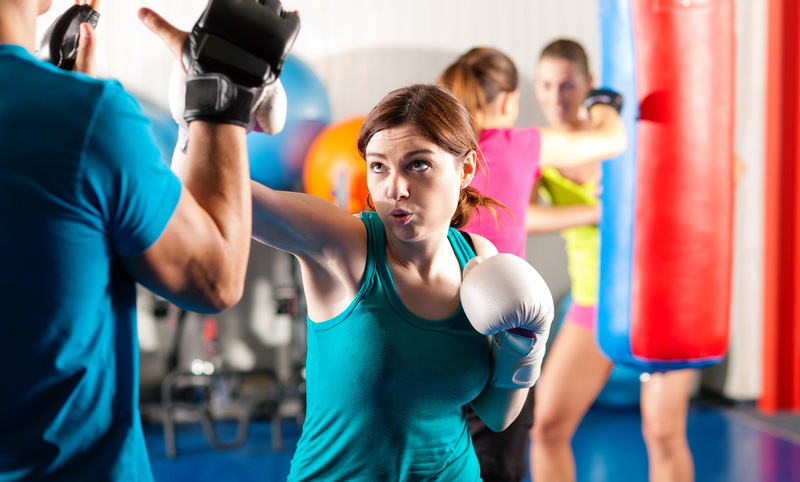 While the majority of women are turning to kickboxing for the physical workout, the self-defense aspect is a perk for many people. An exciting way of learning values of self-control, respect and dedication. Kick up self-esteem, targeting their concentration skills and knock out discipline problems. Self-control is one of the primary values that kids will be discovering. Charyeot (attention), Closed Stance and Gunnun Sogui or Ahp sogui, Punching hand twists, Back-fist strike, double knife-hand strike and Front kick are some of the basic techniques that will be establish for this level. Teaches martial arts techniques at a pace appropriate for younger ages, uses fun activities and positive reinforcement to help your child learn skills necessary. Foster the self-confidence, self-discipline, builds physical strength and agility, and mental confidence. Kicks, Blocks and Punches give sensory experiences that strengthen learning skills and coordination. To attempt different ways to block (eg, the low block, the middle block, the high block, the outer forearm block, and the knife block), which are specially designed to avoid receiving a blow by the opponent. Mastering a punch is given great importance. The children will learn to practice on their movement such as balance, speed and accuracy in specific challenges and tests. The children will also learn ways to be patience and earning their belts as belts aren’t something you can pay for but are earned by training and training hard to know and learn all aspects of martial arts. Jousts filled with adrenaline and fun, friendly and a joyful atmosphere, challenges that require thinking and strategy. Jab, Cross, Hook, Uppercut are some of the combination of elements techniques that will be taught in session. 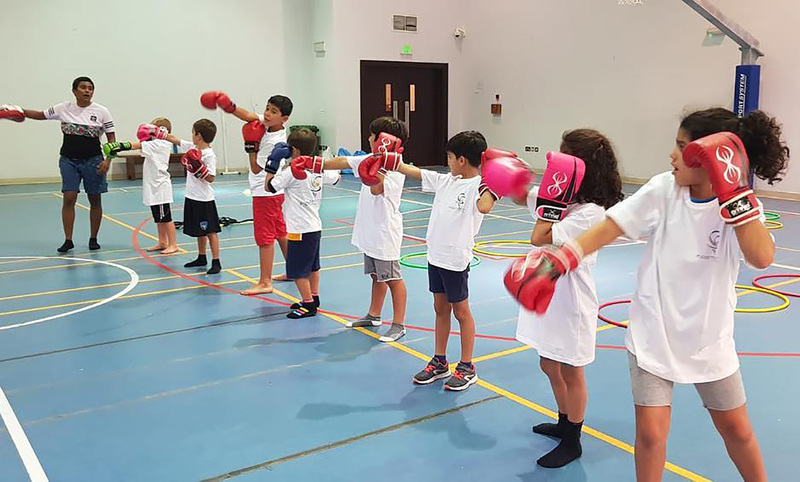 In kickboxing, kids will allow to practice their low kicks and even knee strikes, elbows, and grappling maneuvers. Learning the aforementioned moves and variations of combine moves. Build up the confidence, composure, the ability to block the attack, and the ability to deliver blows with conviction. 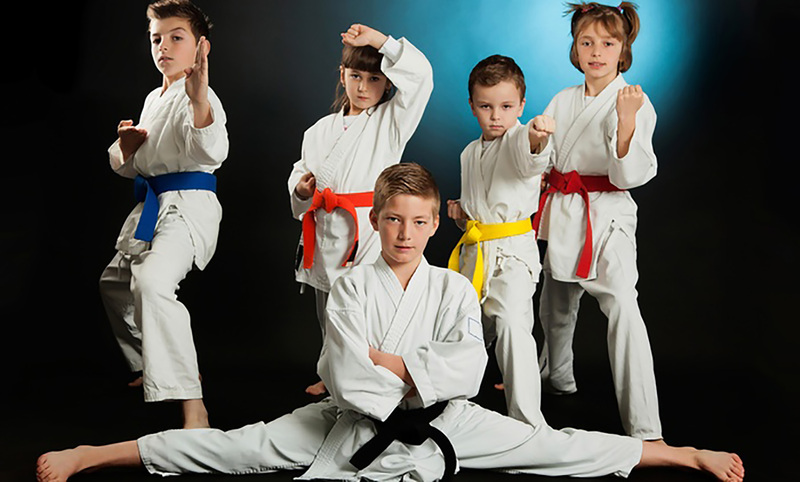 We will be doing exercises that will improve the Childs flexibility as flexibility is a crucial thing in taekwondo to help the children with more advanced kicks and defense positions. Learn every hand or kick movement techniques as taekwondo is a very serious and very precise sport where mistakes can’t be unlearned and will need to be mastered quickly and efficiently. Taekwondo requires a lot of focus and concentration with practices and jousts. Safe, filled with different ways to learn to adapt to in many situations, challenges filled with adrenaline. Trainers have experience over many techniques that will overwhelm your child with many new ways to defend themselves. Learn to fight to defeat, Break away techniques and Personal alarms are a way to practice passive self-defense. We can teach every child efficiently and effectively, a fun and joyful environment. With trainers who are experienced working with children and will surely be of very kind service.